I was hugely lucky to pick up an ARC (Advanced Review Copy) of Moxie at YALC (the Young Adult Literature Convention) this year. I am really loving the proliferation of books that feature feminist characters. 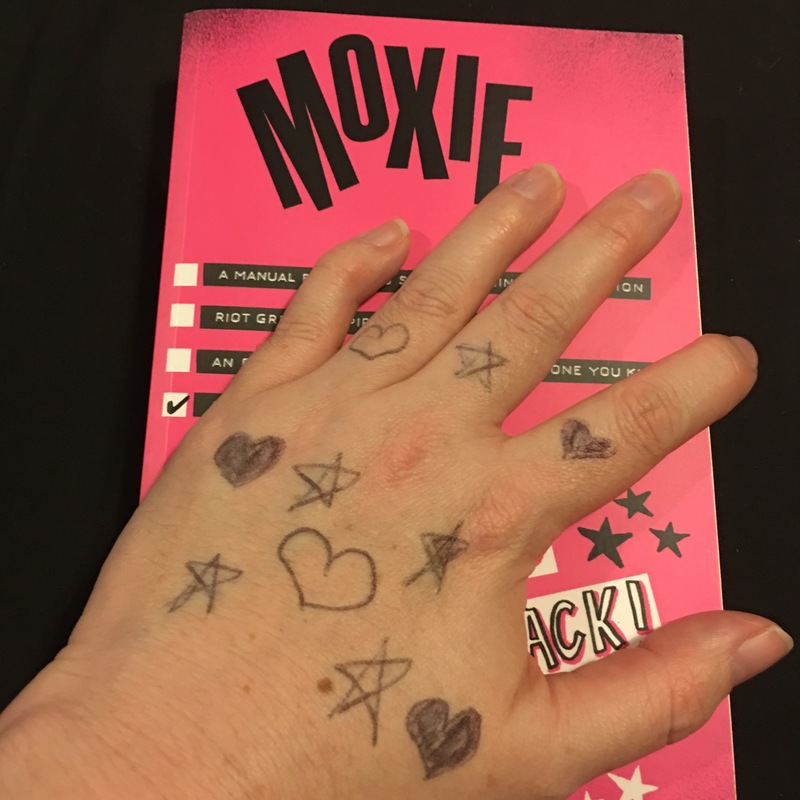 If you are a fan of Holly Bourne’s Spinster Club series you are going to love Moxie. Vivian Carter is fed up. Fed up with her high school teachers who think the football team can do no wrong. Fed up with sexist dress codes, hallway harassment and gross comments from guys during class. But most of all, Viv Carter is fed up with always following the rules. 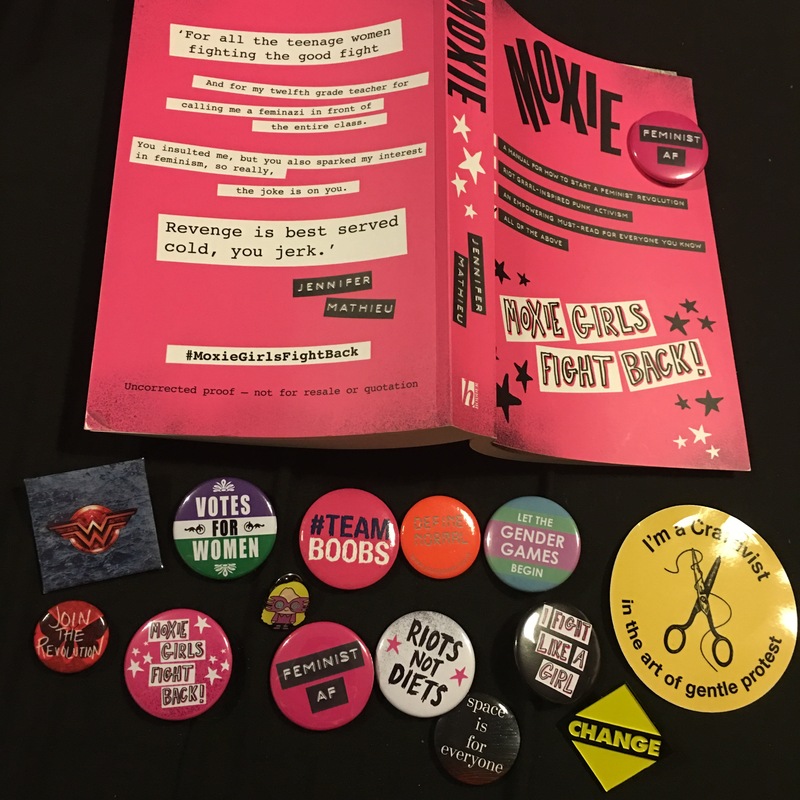 Viv’s Mum was a tough-as-nails, punk rock Riot Grrl in the 90s, and now Viv takes a page from her mother’s past and creates Moxie, a feminist zone that she distributes anonymously to her classmates. I loved the book so much I reached out to the PR to see if Jennifer would share some Activism tips with us. And huge thanks to Jennifer and Sarah for these tips from Vivian Carter herself. Hey, Moxie Girls! I’m so excited to share with you some tips that me and the other Moxie Girls hold dear to our hearts. 1) Support other girls! It sounds so obvious, but so much of being a feminist is supporting other women in a world that pits us against each other all the time. Being a feminist doesn’t mean you can’t criticize other girls for justifiable reasons, but catch yourself when you feel the urge to make fun of another girl’s hair, clothes, weight, hobbies, or interests. Making fun of other girls because of their appearance or what they like to do is so not Moxie. 2) Be inclusive! Before Moxie, girls at East Rockport High didn’t really mix outside of their cliques. But feminism has to be intersectional and, thanks to Moxie, the girls of ERH are getting to know each other better. It’s so awesome! Being a feminist means voices of girls of color, girls with disabilities, queer girls and trans girls should be recognized and amplified! Make sure all girls feel welcome at your meet ups and, if you’re an activist, look to the voices of girls from other communities and listen to what they have to say. You’ll learn so much. 3) Educate yourself! The women’s movement didn’t start yesterday – it stretches back decades and centuries. Read your women’s history and learn about the movement’s successes, challenges, and missteps. If you’re in university, take a women’s studies class. I can’t wait to take one when I get to college! An educated feminist is a powerful feminist. 4) Reach out into your community! It’s great to start local, but take your activism outside the walls of your school if you can. In America, we have a real issue with shelters not having enough feminine hygiene products for female clients, so the Moxie Girls want to start collecting supplies for our local shelters. Is there a progressive female candidate running for office that needs your help or younger girls who need tutors or mentors? Is there a women’s organization in your area that you can learn more about? Go for it! 5) Have fun! Activism has to be fun! The first big Moxie meet up that Kiera organized at the VFW Hall helped solidify Moxie into a real movement at our school. Get together and dance, watch a feminist-friendly film, do each other’s makeup, and eat chocolate! Part of being a feminist activist is just enjoying the company of other girls and reminding yourself of what you’re fighting for! Bonus Tip for male allies from Seth! Hey, it’s me, Viv’s boyfriend, Seth. I wanted to chime in and say that feminists need male allies, and I’m proud to be one. What does it mean to be a male ally? It means listening to the feminists in your life and not taking the limelight. It means believing girls when they tell you what they’re going through and what they’re feeling. And it really means speaking up when your fellow guys start saying and doing stuff that objectifies and degrades women and girls. It’s hard to stand up and speak out – I get it – but it takes guts and it’s the brave thing to do. Forget the crap in the culture that tells you that “real men” are only out to get laid, get drunk, and be violent. Real men are protectors and defenders and stand up for what’s right. You’ve got this. There are so many parallels with what is happening in the news on a daily basis. Over the last week the #metoo campaign in response to insidious sexism in Hollywood has shown the power of women raising their voices. The book includes the issues of Moxie that Viv produces and that adds an extra special touch that draws the reader into the story. 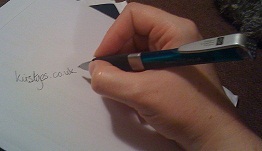 Each issue encourages an action. A quiet protest such as writing hearts and stars on your hands to identify others like you (or you know bending the knee peacefully??!!). I’d love have to been more of an activist when I was a teen and it’s so good that teens of today have books like these to inspire them. Point 3 above is illustrated in the book through the inclusion of Viv’s Mum previous activism. Hopefully we can start to share these ideas with our children and encourage them to respectfully question. I particularly love the inclusion of the character of Seth, the male feminist, the ally. As well as following women’s metoo stories do check out the few men who are examining their own past behaviour too. Tying in to Viv’s tip no 5 about having fun I just want to do a shout out to the concept of Craftivism: the art of gentle protest. If you want to find out more check out this link. Also check out the hashtag #feministfriday on Instagram today. Thanks so much to Hachette Childrens for having ARCs of Moxie availabile at YALC. You can buy your own copy from Amazon or your favourite independent bookshop. Posted on October 20, 2017, in Author Interviews, Book Reviews and tagged Author Interview, Book Review, Character Interview, Craftivism, Craftivist Collective, feminism, Gentle Protest, Holly Bourne, Jennifer Mathieu, metoo, Moxie, MoxieGirlsFightBack, Spinster Club, YALC. Bookmark the permalink. Leave a comment.